With the World Cup in full swing and the nation getting behind Gareth Southgate and the boys, I’ve been musing over what it would be like if Waggy Tails of Wymondham had qualified for Russia 2018 and what the starting line-up would be. Obviously I’ve given it a lot of thought, and with more than 20 fabulous doggies in the Waggy Tails gang there were some tough decisions to make, with some disappointed little pooches who didn’t make the final XI. I ended up going for the traditional 4-4-2, keep it nice and simple, we definitely don’t want to over-complicate things. There’s a mix of youth and experience, with a strong spine running through the middle, pace and trickery down the flanks and the old fashioned little and large partnership up front. Definitely reckon they’d make the quarter-finals at least. Long, leggy and a fabulous ball catching ability make Billy the safest paws in the business, just need to hope his inexperience doesn’t get the better of him and that he doesn’t get distracted by a passing butterfly. Full of energy, Bramble will run up and down and up and down and up and down all day long – literally! Strong in the tackle with a low centre of gravity never-say-die attitude, takes a mean long throw-in as well. Bramble’s partner in crime, Reg will provide similar levels of energy and passion on the left side of the defence. Good with both feet and surprisingly decent in the air for a little fella. Loves a bit of rough and tumble does Marley, he’s a tough as gristle, gentle giant with brute strength and relentless ball chasing ability in abundance. His disciplinary record could be an issue however as he has a bit of a habit of collecting red cards. Strong as an ox and built like, well rather like an ox really. Poppy is an absolute mountain, with an experienced head on her massive shoulders. She turns like a tugboat these days but nothing’s getting past this girl. Lovely dribbler, with a mean drop of the shoulder, deceptive pace and fantastic crossing ability. She’s a dead ball specialist and the self-titled “nutmeg queen” well known for scoring spectacular bicycle kicks. Another tricky little customer, bringing youthful exuberance and bundles of energy down the left side of the pitch. A great little tackler as well, Ruby is very highly rated, and a potential star of the tournament. Cool, calm, composed and sheer class in a dog bowl. A lovely mover, Dakota has a beautiful combination of power and elegance, making her the perfect box-to-box midfielder. Great team worker and role model, she wears the captain’s armband. Strong, stubborn and loves to keep things simple – all perfect attributes for as top class holding midfielders, of which there can be no doubt Philly is one. She’s the engine of the midfield, the glue holding the spine of the team together. The total package. Pace, power, perseverance – the lot. Sam will chase the ball all day long and make a real nuisance of himself in the box. An absolute nightmare to defend against and a world class finisher to boot. The ‘little’ of the little-and-large combo up front, with a brilliant knack of darting about and finding herself in the right place at the right time. As well as being a terrific goal sniffer her unselfishness turns her into a superb provider for others. Subs bench: Plenty of strength in depth waiting on the bench, literally dozens of fresh legs ready to come on and shake things up. Izzy and Flo the Great Danes in particular will be desperate to start throwing their weight around. PreviousPrevious post:Busy! Busy! 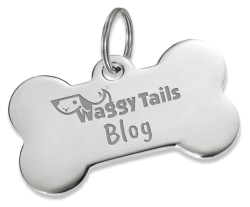 Busy!NextNext post:Wishing you a Merry Christmas and a Waggy New Year!